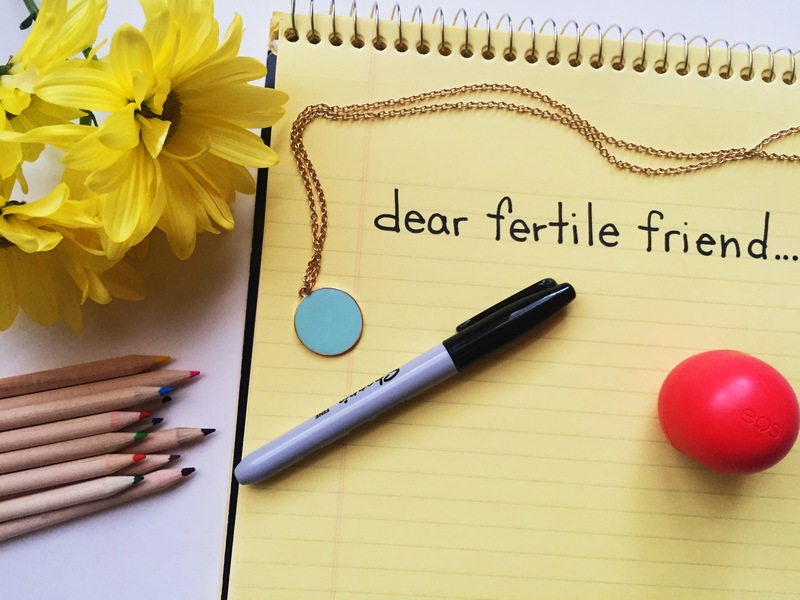 Thanks for clicking to continue reading and supporting my writing at Fertility Authority! Please feel free to share this post as much as you can within the next month – your views matter! And I’d love to have you weigh in and share what you wish you could tell your friends with kids – comment there or here! Also, it’s not too late to enter the giveaway for your chance to win a copy of Where Have All the Storks Gone? A His and Hers Guide to Infertility by Michelle and Chris Miller or a fertility pack with a TTC Boost Bundle for Her and a BFP Test Strip Little Bundle. Read the previous post to enter or Click Here: a Rafflecopter giveaway. See you Friday to announce the giveaway winners and share some Friday Favorites! I couldn’t have said it better myself! I love this. <3 so glad that you were able to connect with my words for some time … thank you for reading and commenting!! xo! How did you get into my brain?! This is everything that I can think of that I would like to say. I’ll be sharing this on my blog. Thank you for writing this! xoxo! I am so glad that you felt validated and comforted. I am so sorry that your friends don’t understand how hard it is. :( Here for you if you ever need to talk! I Love Love Love your blog! You inspire me to not give up on this very long journey! I am so glad to hear that! :) You made me smile! Hang in there friend! xo!